Home / Automotive / News / The Aston Martin Project Neptune Luxury... Er... Submarine? 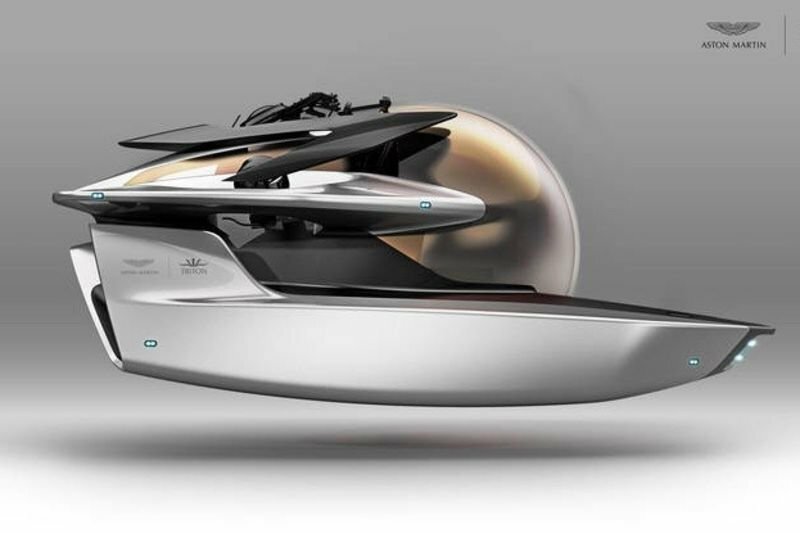 Aston Martin's Project Neptune, a $4million underseas exploration vehicle, might be more than just a publicity stunt! Project Neptune is a standalone submarine. You can compare it to your typical submarine, which prioritizes function over form, and you'll definitely see where the Aston Martin flare comes in. It makes every other personal sub look awfully chunky by comparison. Plenty of automaker/marine craft-builder collaborations never progress beyond the rendering stage – but this one may have a better than average chance at coming to fruition. Various companies have been trying to make luxury submarines come to life for years now, but Aston Martin's partner for the Project Neptune program – Triton Submarines of Vero Beach, Florida – has actually built and sold undersea craft before. Add that to the $4 million price tag and there may be the possibility of turning a fancy idea into reality. Even if this goes nowhere, it's an outright splashy way for Aston Martin to show off what its new design/engineering arm – Aston Martin Consulting – is capable of producing! We can expect more sleek AM-designed boats, home furnishings and maybe evenluxury condos in the future.